Dollar Photo Club Closed Now, What’s the Best Alternative? On April 15, 2016, the Dollar Photo Club will no longer be up for business. It will have terminated all its services, taking away members’ access to their collection, member area and purchase history. With only less than a month to operate, the stock site no longer allows updating of billing information which means no renewals are being processed. Thus, you should not expect any bill charged on your payment method. With the Dollar Photo Club closed, it is time to sign up with a better alternative. Surely, there are a number of stock photo websites in the market. But, do all of them suit your creative needs? While most of them offer millions of high quality images, not all have affordable image on demand and subscription rates. Only 99 Club by Stock Photo Secrets offers the same kind of product as DPC: premium quality images at a very low price. The Dollar Photo Club has over 25 million stock images in its library, while the 99 Club has over 4 million. However, the latter is continually growing by adding 60,000 to 80,000 new images to its collection. The Dollar Photo Club is known to offer $1 per image, which means you get 100 images for $100. On the other hand, 99 Club offers 200 premium quality images for only $99 which is double the number of image downloads of DPC. Furthermore, you can get extra images for only $0.99 per image if you exceed the yearly subscription limit. With the 99 Club, you do not need to worry about cancelling your subscription before it ends. The stock has no auto-renew feature. 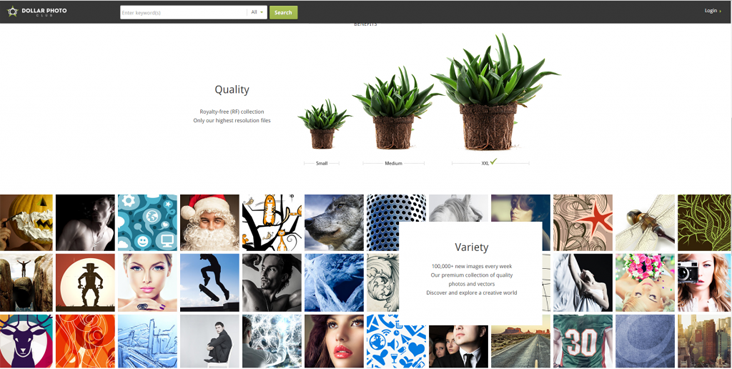 Sadly, the Dollar Photo Club is closing due to Adobe Stock’s acquisition of the website. The 99 Club is not related to it or Fotolia. It is associated with Stock Photo Secrets, which has been around for over 10 years – meaning 99 Club is here to stay. Both offers high quality images with royalty-free license and the appropriate licenses so you can use them in any project, commercially and non-commercially, for as long as you like. They also have everlasting feature, which means your downloads will never expire. They also let you choose any image size from small to XXL, whichever fits your creative projects. They both offer images at a straightforward price. There are no additional fees or commitments to worry of. In conclusion, the Dollar Photo Club and 99 Club are alike in many great things, but the latter offers more value for your money. With twice the number of downloads and a cheaper rate, 99 Club is the perfect Dollar Photo Club alternative for expired members. Sign up now before the limited offer ends.